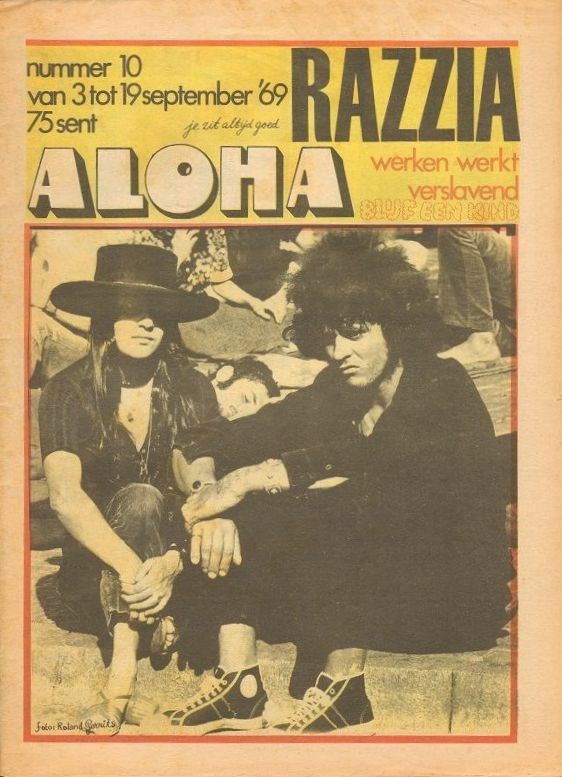 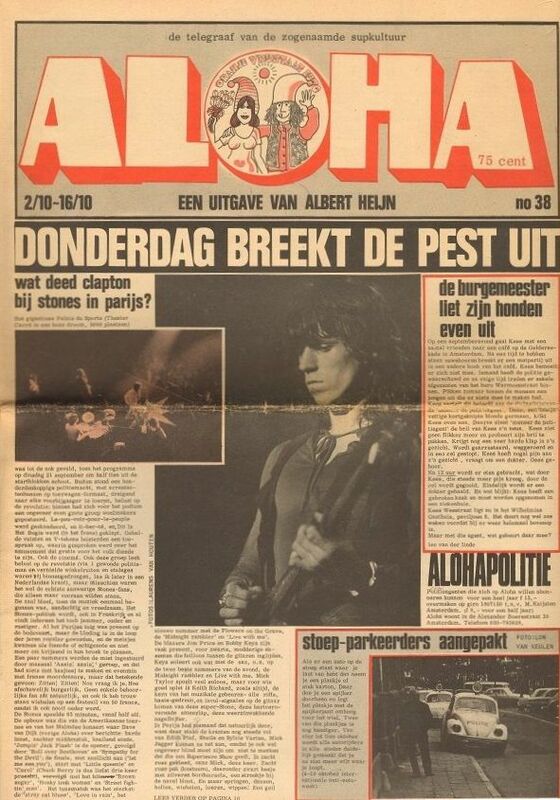 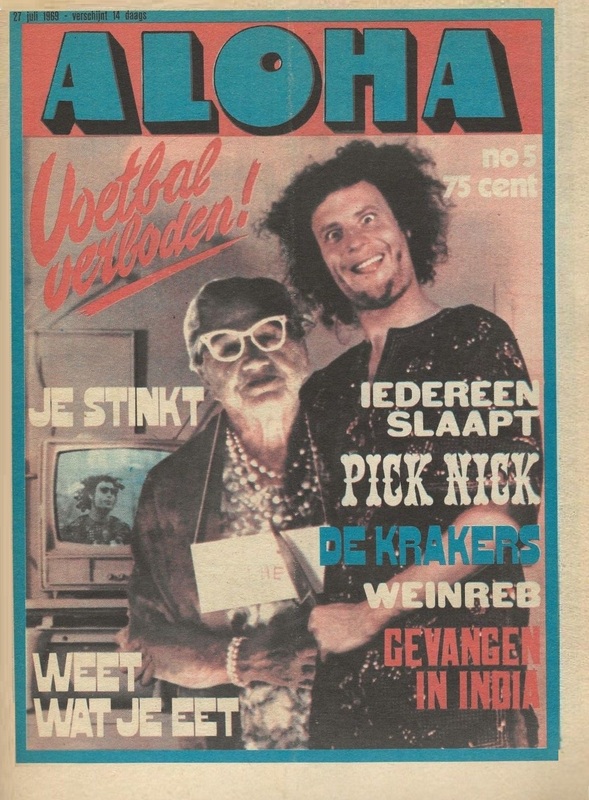 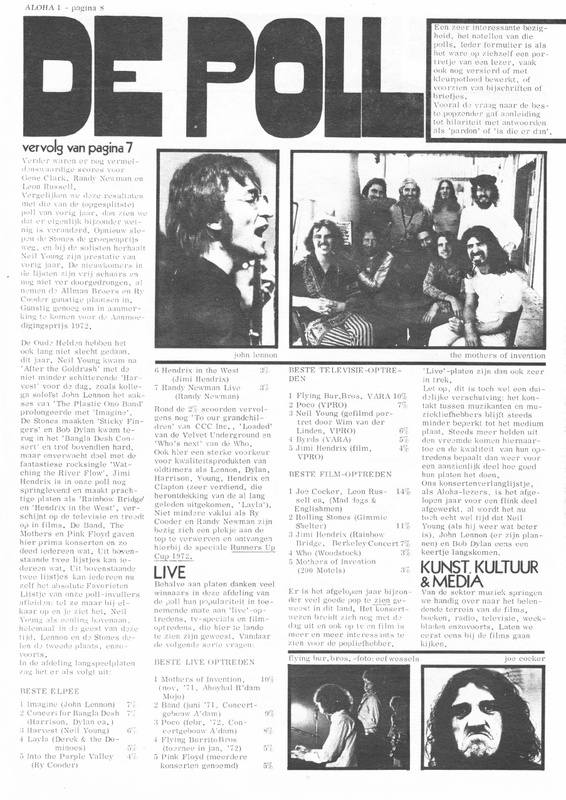 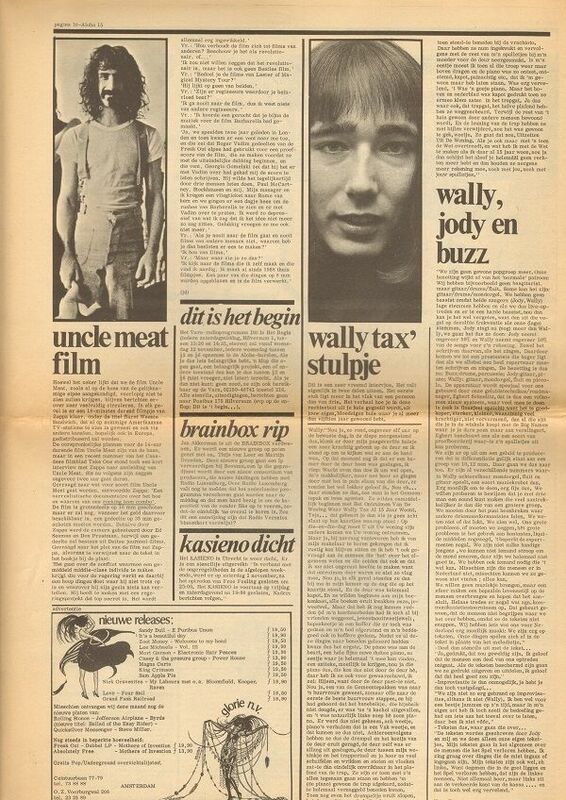 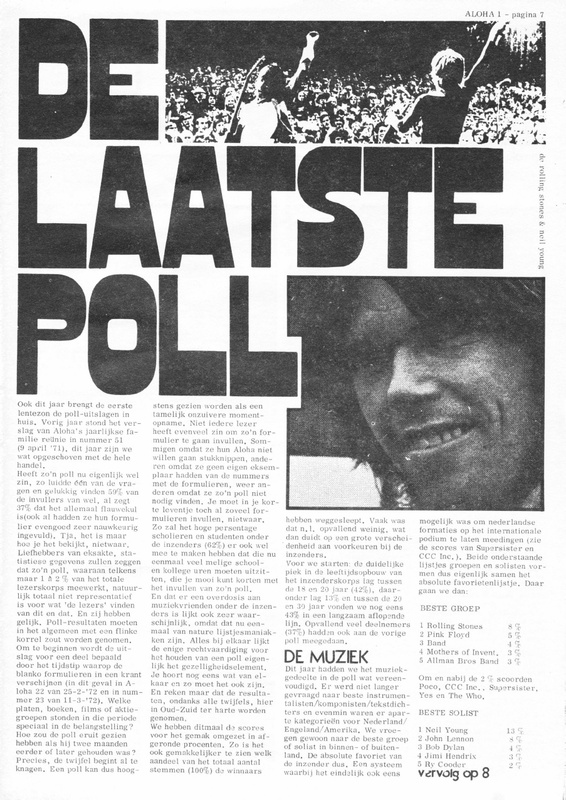 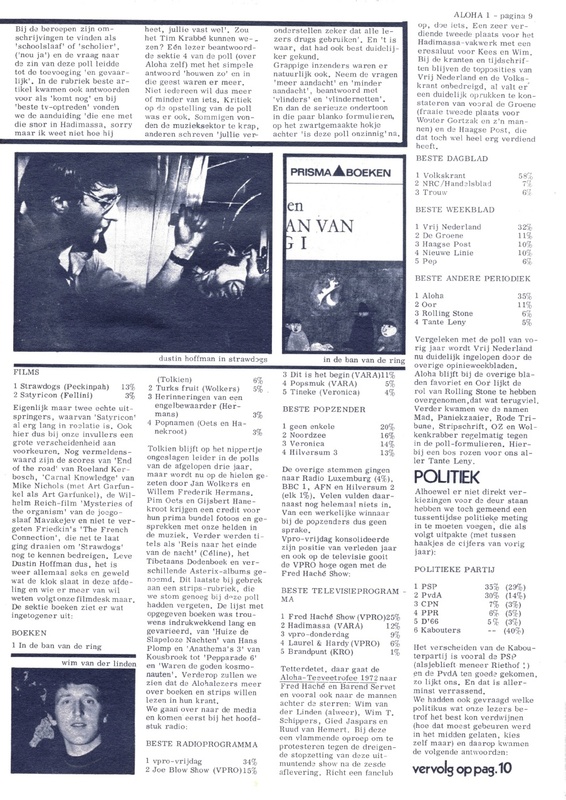 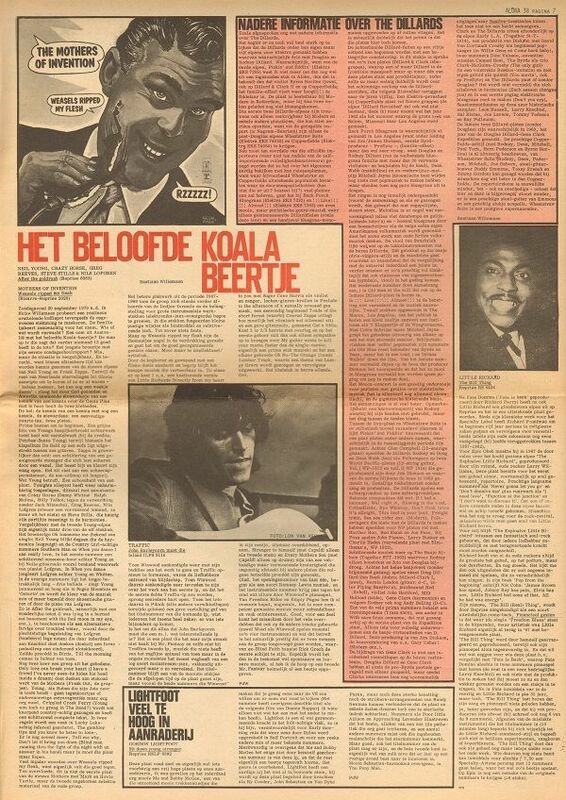 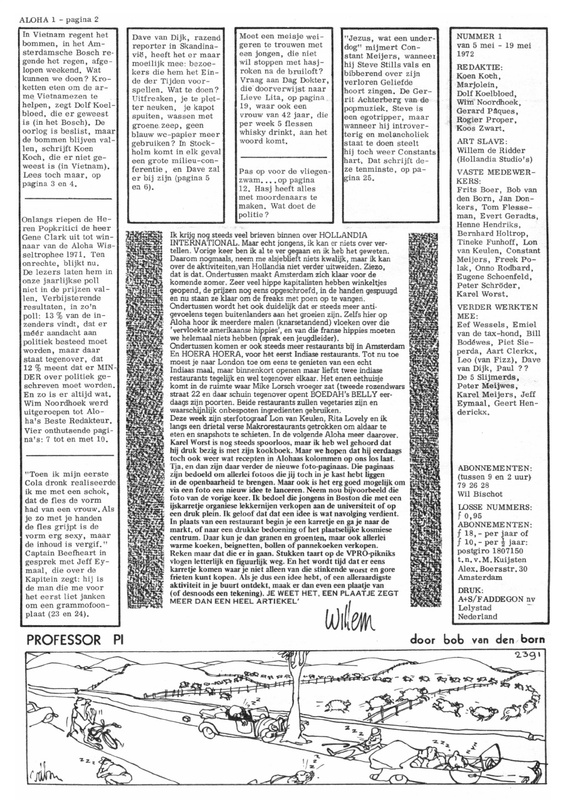 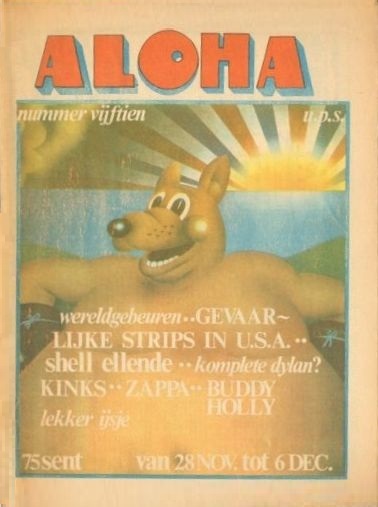 Dutch underground biweekly published from April 1969 to April 1974. 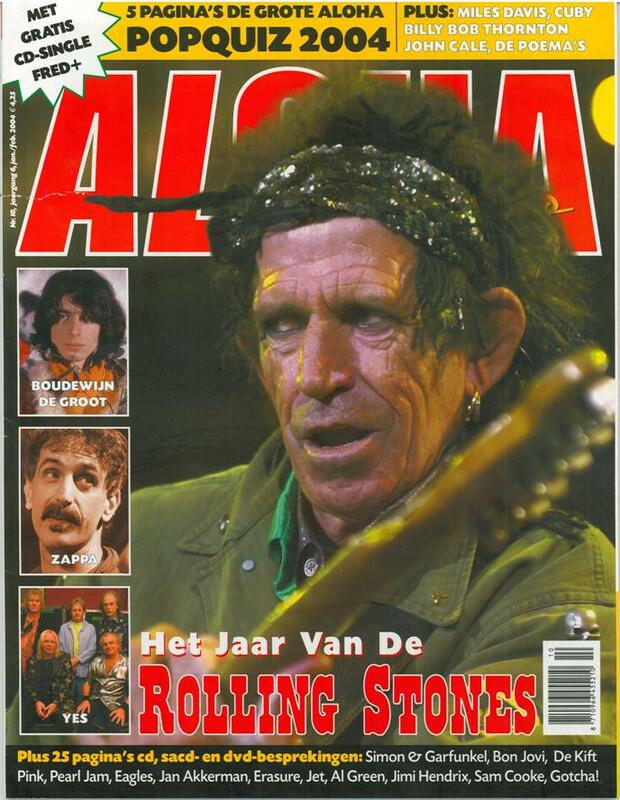 Successor of Hitweek. 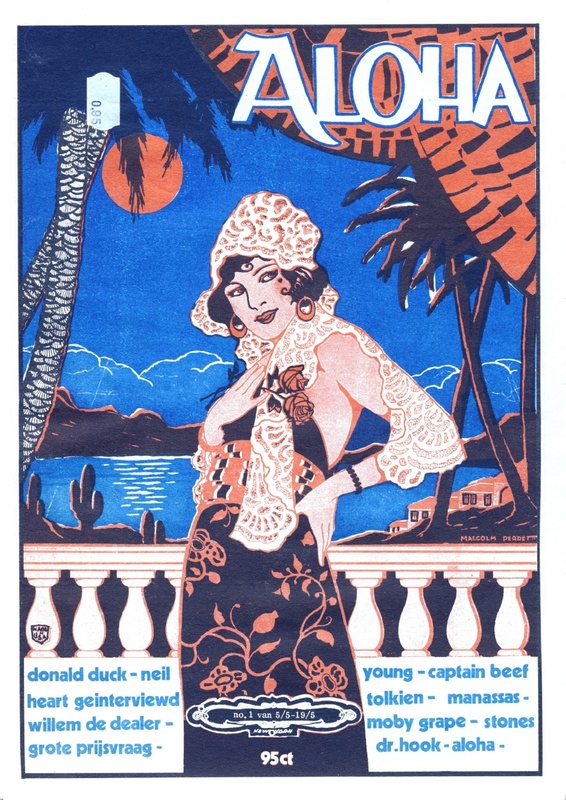 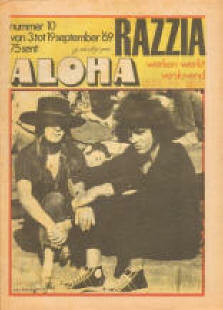 Aloha name was relived in 1999 for a glossy music monthly. 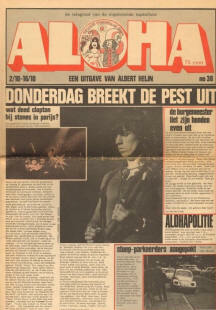 In October 2005 this new Aloha was merged with OOR. 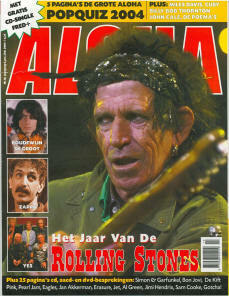 This issue's cover story is on Wild Man Fischer. 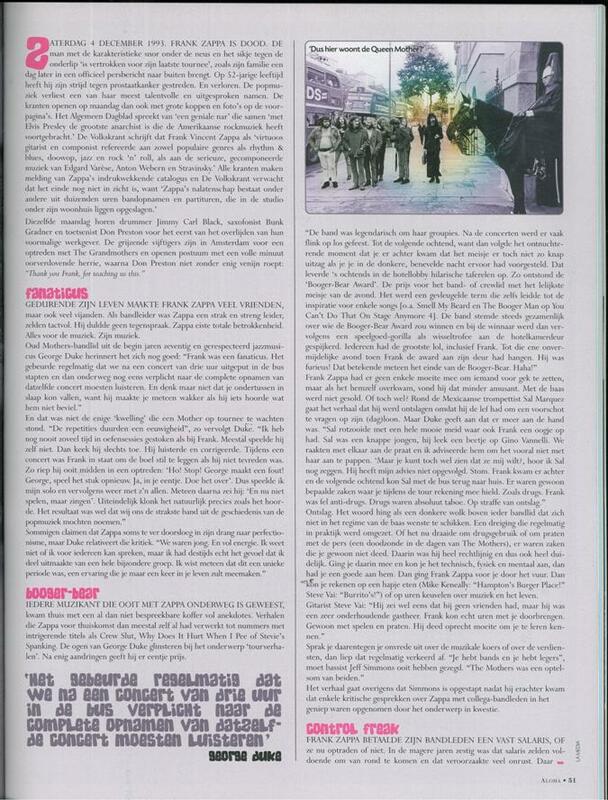 This is the Mothermania album review on page 13. 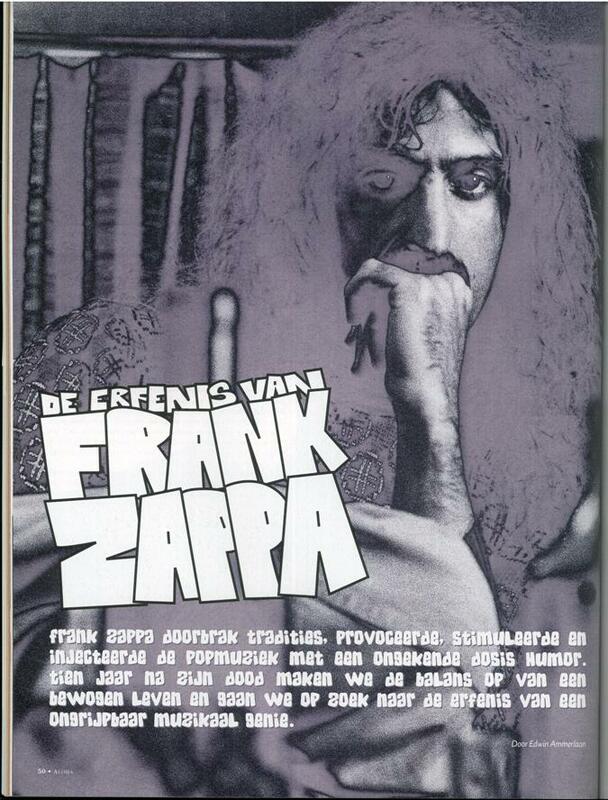 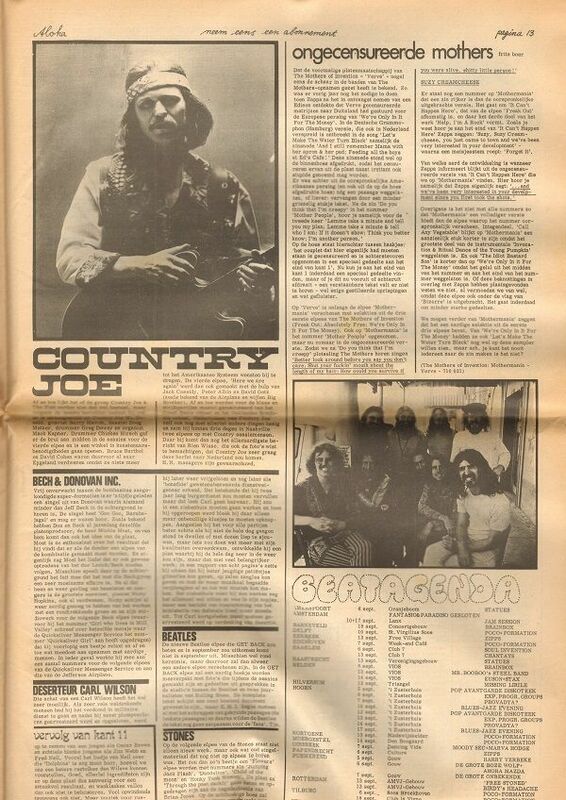 Article on page 10 is based mostly on translations of interview "Frank Zappa" from Canadian film magazine Take One. 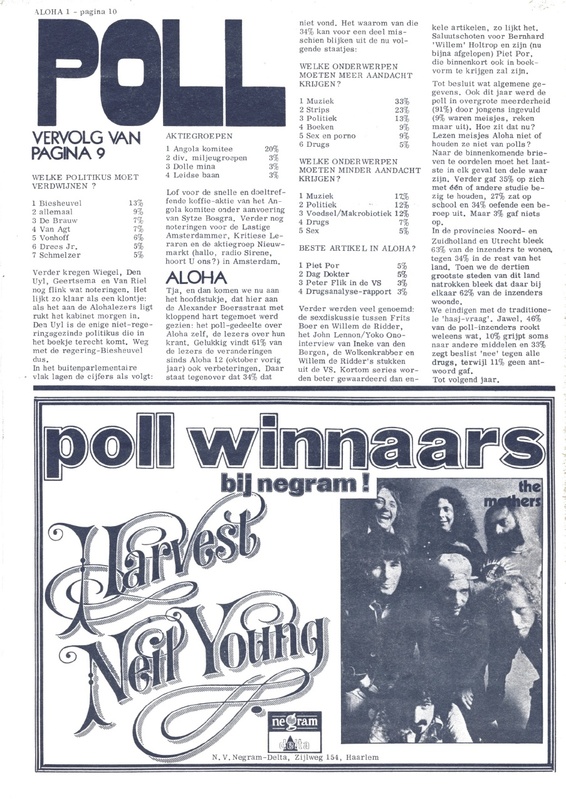 In reader's poll the Mothers of Invention voted as best live act and best band #3. 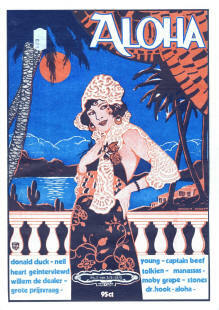 200 Motels voted as film #5. 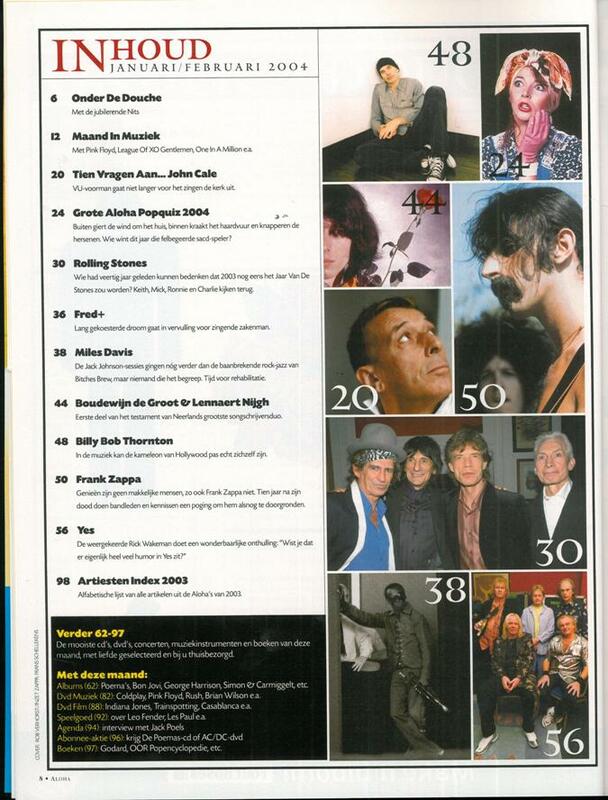 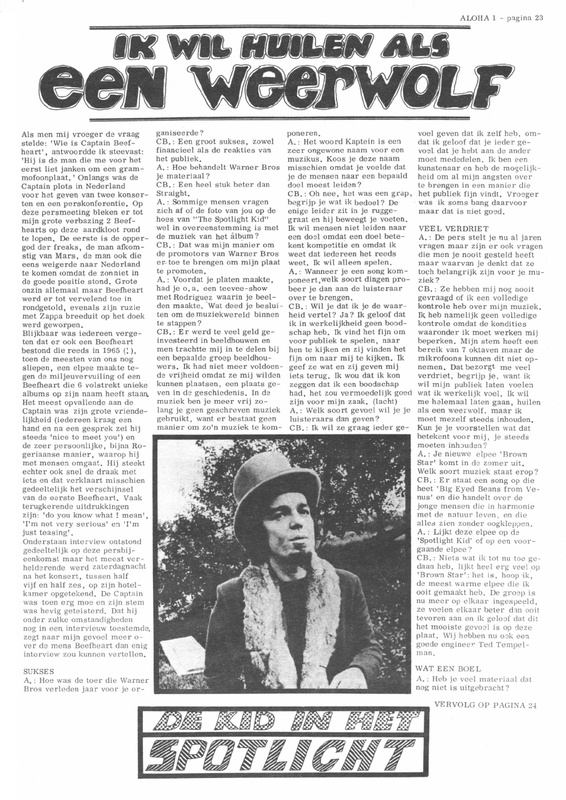 On pages 23-24 is full version of interview with Captain Beefheart. 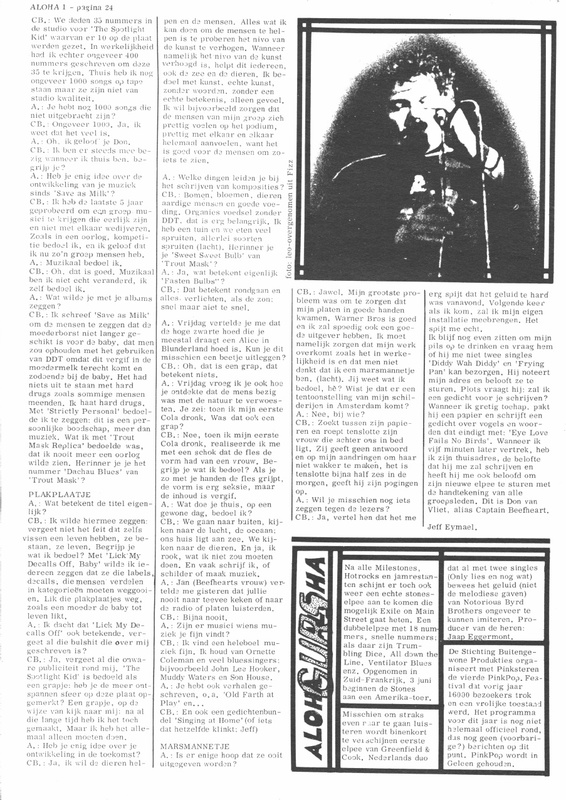 Translation of this version first appeared in the april 1996 fanzine Steal Softly Thru Snow #6. 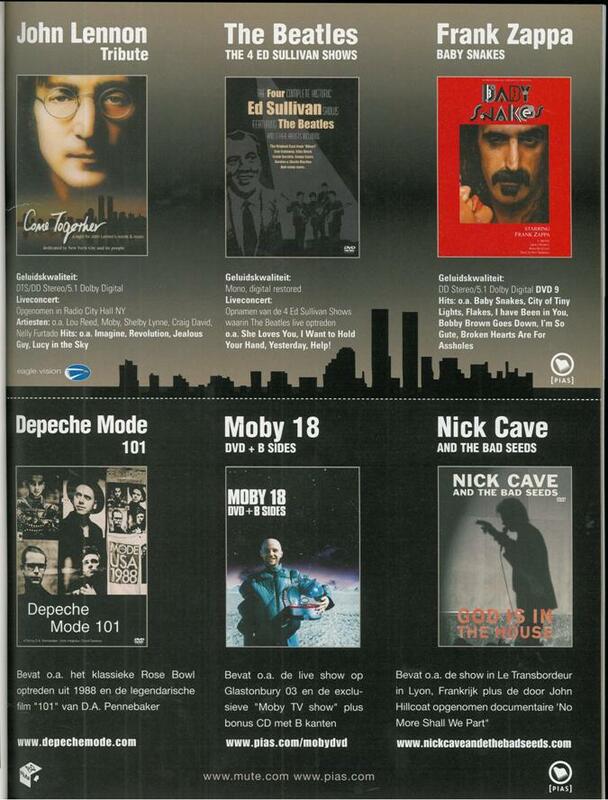 Full translation is available at the Electricity site.